The core spiritual teachings of the Lakota as passed down from through the generations. "When we began our search for consultants for Into the West, we were looking for individuals with a deep knowledge of the culture and history of the Lakota people. In Joe Marshall, we found that person, but the happy surprise was that we also found a poet, a storyteller, and an educator who led us through challenging terrain with great patience and wisdom." Native American lineage holders have long been cautious about sharing their spiritual truths because the essence of this wisdom has been so often misunderstood. 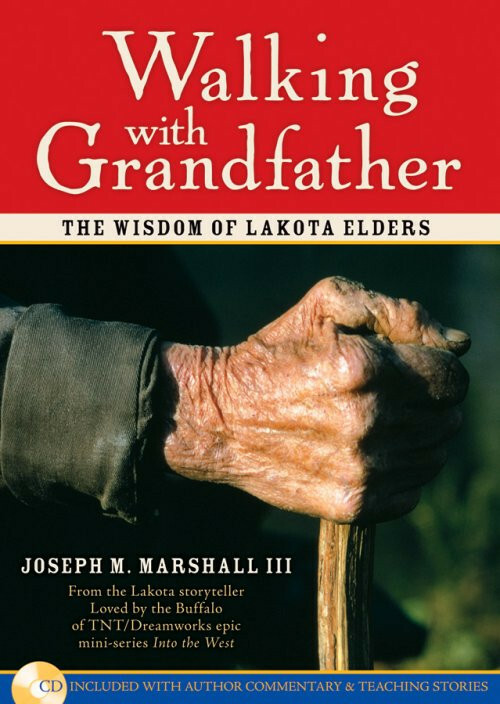 In Walking with Grandfather, authentic Lakota lineage holder and award-winning storyteller Joseph M. Marshall breaks this silence with the very best from a lifetime of lessons passed on to him by his grandfather. With him, you will gain access to the timeless teachings that until now remained largely unheard outside the culture of the Lakota people. You may not recognize this as a little masterpiece because it's dressed in a simple garb. As a follower of the Tao, I treasure this little book.